Government has been urged to establish dam-induced relocation policies that have clearly defined compensation mechanisms for those whose land is taken to develop mega dams in the country. 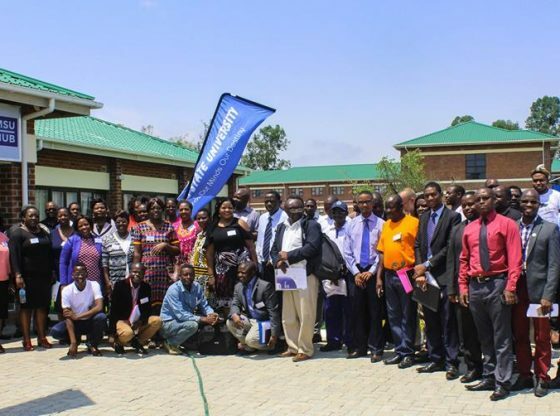 The call was made by the Midlands State University, Executive Dean of Arts, Dr Terrence Mashingaidze during a two-day conference held from the 18th to the 19th of October 2018 at the University’s Graduate School of Business Leadership Campus in Gweru. According to arguments raised at the conference, such compensation should have the effect of restoring people`s livelihoods to their pre-relocation status, to avoid instances in where community members do not get any form of compensation. Dr Mashingaidze told delegates who attended the conference that dams are normally constructed in river valleys where poor, marginal and weaker communities are located adding that those most affected are generally powerless to negotiate with the government and funding institutions for favourable relocation packages. ‘They cannot effectively negotiate with government and dam funding institutions for favourable relocation packages in the form of monetary compensation and facilities that promote sustainable livelihoods such as access roads, bio-medical facilities and irrigation schemes. These unequal power relations and inability to influence the allocation of national resources persist beyond the initial physical relocations because the displaced in most cases remain marginal in their new relocation areas,’ noted Dr Mashingaidze. Midlands State University, Acting Pro Vice-Chancellor Research and Academic Affairs, Professor Doreen Moyo highlighted that, while dams are the engines of modern socio-economic development, it is important to interrogate the downside effect to the state-sanctioned projects and more importantly map and suggest how the dams may benefit everyone including those directly affected by its construction. ‘In Zimbabwe, major dam projects such as Tokwe-Mukosi are established with an overriding belief in the supremacy of scientific knowledge to alleviate poverty, hunger and improve communities by socially and economically empowering them with infrastructure such as irrigation, tourism and fishing facilities’ … however, ‘the construction of dams such as Tokwe-Mukosi also have negative and far-reaching consequences. These include altering geographies and exposing local communities to new diseases, apart from the obvious fact of disrupting people`s daily routines, social networks and the impairment of livelihoods through forced displacements, which in most cases happens without adequate or mutually agreed on compensation and post-relocation structures,’ said Professor Moyo. The two-day conference which was attended by researchers, academics, representatives from the Zimbabwe National Water Authority as well as non-governmental organisations, ran under the theme, ‘Dams, Society and the Environment in Zimbabwe’.